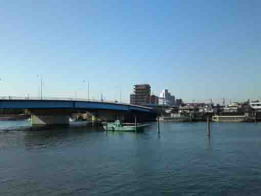 Getting off the subway at Gyotoku Station and going to Edogwa river, there is a wonderful temple suitably called the 23th temple of the 33 Pilgrimage in Gyotoku and Urayasu. 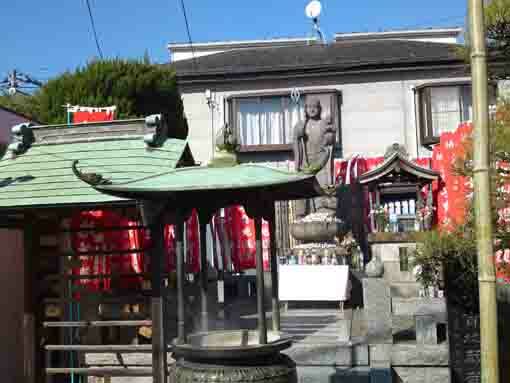 On the middle of the approach road, an old wooden gate stands, and there are a statue of Jizo for children's health and safe and 6 jizo statues for people's happiness standing in the temple. Moreover, Edo Meisho Zue (a guide book introducing Edo in Edo period) describes a small shrine dedicating Benzaiten. 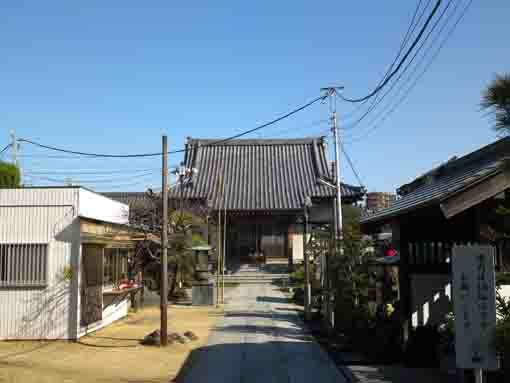 Enmyoin Temple is exactly the 23rd temple of the 33 Pilgrimage in Gytoku and Urayasu. Why don't you visit Enmyoin Temple in Gyotoku. 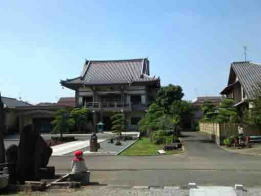 It is said that Kakugen a priest belonged to Shingon sect built Enmyoin Temple in 1560. Even though most buildings in Enmyoin Temple has lost several times by disasters such as fires and tsunamis, the main gate (Sanmon Gate) and a fire bell only exist. 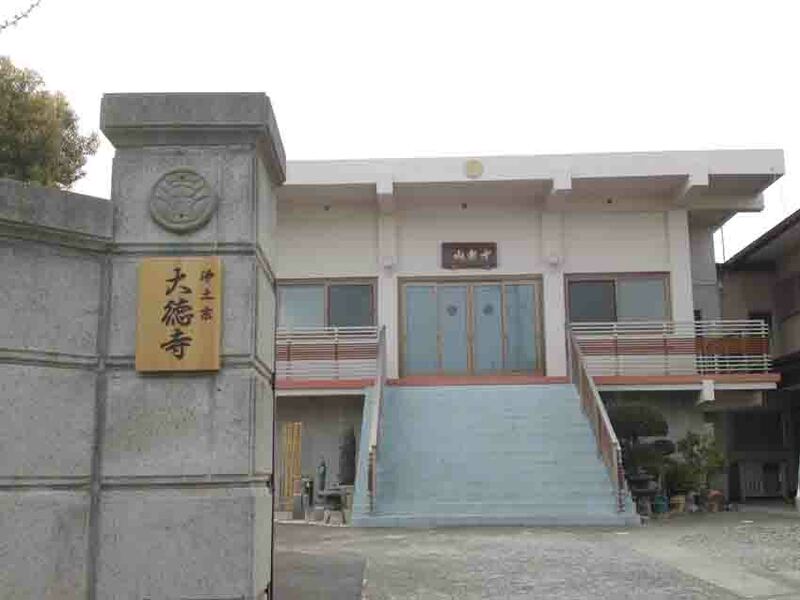 The main gate was built in 1738 and it was renovated in 1992. 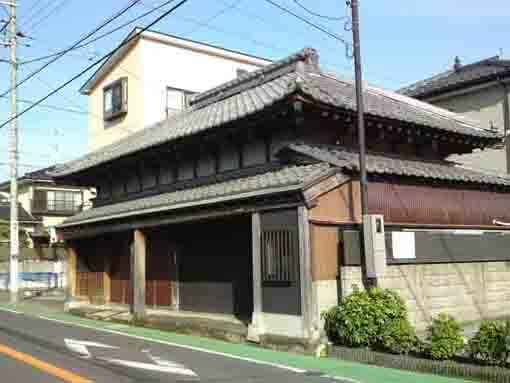 This gate is the oldest building in Gyotoku area that the construction date is exactly recorded. The fire bell was made by Yukai in 1788. 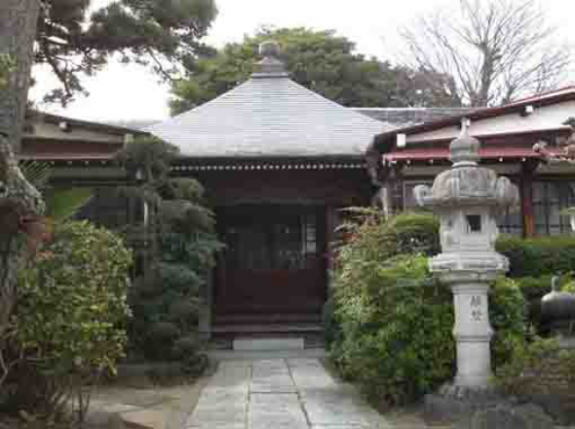 On its surface, the area name '下総國本湊村 (Honninato village in Shimousa province)' and the temple's name '水奏密山圓明教院 (Suisomitsusan Emnyoin)' are carved. The main hall was rebuilt in 1981. 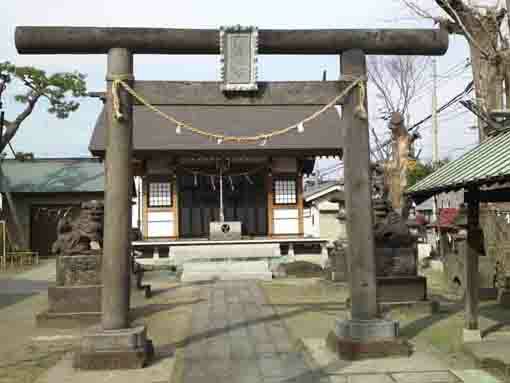 On the left side of the main gate, there is a Benzaiten shrine that there are no records who and when built it, but it was described in an old map of Edo that the Benzaiten in Honminato village is one of 3 Bentens in Katsushika. A Jizo for raising children standing left side of the approach road was built in 1977 by the 18th chief priest of this temple to pray for children's sound health and traffic safety. 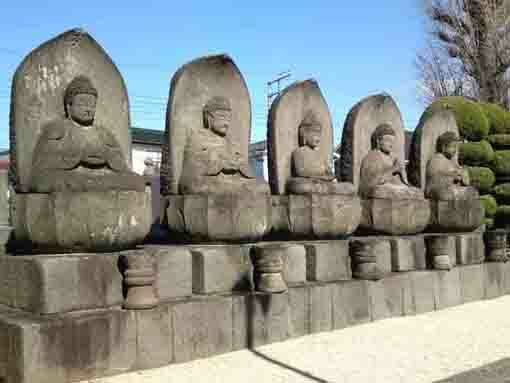 The 6 jizos standing right side of the approach was built in 1999 by Denichi Yajima, the leading supporter to pray for the all people's happiness. This temple named Suisosan Enmyoin was built in by Kakugen in 1560 and it has been kept on praying for people's happiness for 430 years. According to some old documents, the Sanmon Gate (the main gate) of this temple was built in June 1738 and it was renovated and changed from the thatched to the tiled roof in the middle of Meiji era. Over 100 years had passed after the renovation, the parts above the rafters of the gate had been corroded very much, so supporters and followers had examined and talked several times since the early spring in 1991, and they asked to an architecture to check it. As a result, they decided to rebuilt the gate as the commemorative project of the 850th anniversary of Kokyodaishi since the gate would fell down soon. 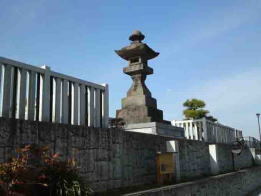 Then a committee to rebuild the Sanmon Gate was formed and the donating funds were enough collected. In May 1992, the committee asked Suiundo a constraction company and the renovation has started. 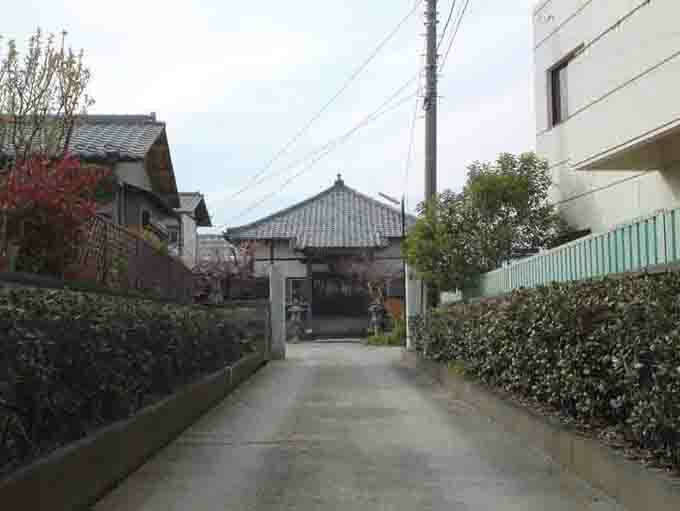 During dismantling the gate, the committee researched it with members of the Board of Education of Ichikawa city and the Japanese Association for conservation of Architectural Monuments and they found its history and features. The Sanmon Gate was built by the chief priest Kakueibo in June 1738, the carpenter was Shozaemon Kojima, Chuhachi Oka and Risuke from Satte in Musashi province. 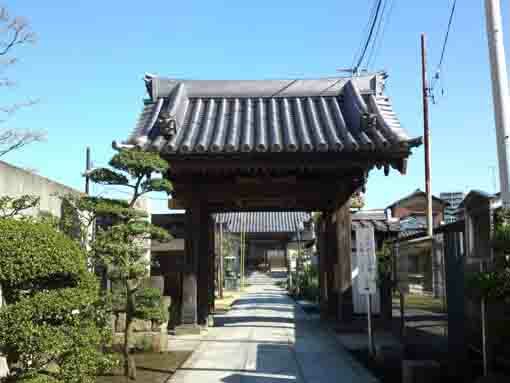 The gate was a type of Yonkyakumon gate (a gate has four pillars) and it was constructed of zelkova wood. The gate is lacquared, and the patterns of pictures and sculptures on it are the height of fashion at Edo period. And also it is a very valuable gate as its carpenters’ name were recorded and it shows shrine carpenters activities and techniques at that time well. 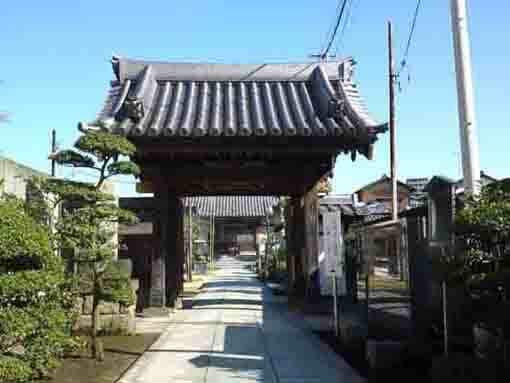 This Sanmon Gate is the oldest gate that the exact period of construction was clear. The renovation was safely completed for seven months. Katsushikaki (a local guide book published in Edo period) said that the Benzaiten in this temple was built by the venerable Junyo since he saw a dream that had told him to build a shrine dedicating Benzaiten. Then he built it in 1718 on Mt. Benzaiten along Edogawa River, and it moved in this temple later. The Benzaiten in this temple was the same deity dedicated in Itsukushima Jinaja Shrine in Miyajima (Hiroshima) or Benzaiten in Enoshima (Kanagawa). 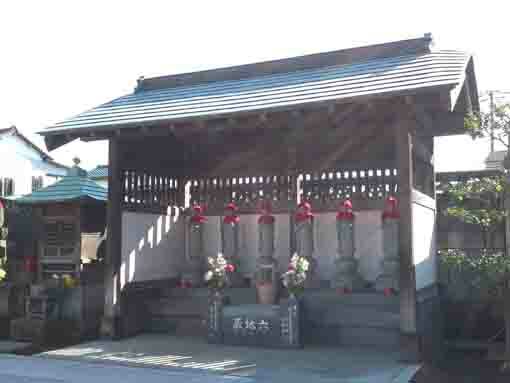 And according to the signboard beside the main gate of this temple, onthe left side of the main gate, there is a Benzaiten shrine that there are no records who and when built it, but it was described in an old map of Edo that the Benzaiten in Honminato village is one of 3 Bentens in Katsushika. Enmyoin Temple has a great accessibility from both Narita and Haneda International Airport.